LOST JEEPS • View topic - Is there any way to tell if my EGR valve is stuck open? Is there any way to tell if my EGR valve is stuck open? Post subject: Is there any way to tell if my EGR valve is stuck open? Would there be any check engine light if it is? I have 06 liberty crd btw. Thanks. Post subject: Re: Is there any way to tell if my EGR valve is stuck open? Maybe. Depends on how failed it is. My personal feeling is they are never completely sealed anyway. The CRD should not smoke except at WOT, and if it does, you are leaking boost from somewhere. Provider of high quality CRD service in your driveway. Need help? Just ask! I've taken it apart more than most. Over 70 CRDs currently driving with my timing belt, rockers, or ARP Studs. Just remember: Bad noises = REALLY bad things. Last edited by WWDiesel on Thu Apr 26, 2018 10:27 am, edited 2 times in total. Did you have a green diesel tune? Because I am confused by the lack of a check engine light. The computer is looking for a drop in flow across the mass airflow sensor, when it commands the EGR to be open. If it does not see this change, then it will command the FCV to close. If it still does not see a drop in airflow across the mass there, then it will set the check engine light. But the tune from GreenDiesel Engineering and some of the cheaper yeti tunes will eliminate the code from the computer. I don’t know if the EGR valve is stuck open or not. I am just trying to figure out if it is (or not) without taking things apart. The EGR valve is a lot like Schrödinger's cat. Until you can observe it directly, it exists in both the open and closed state. The only way to know for sure which state it is is to open it up and see. Now, if it were me and someone presented me with a box that may or may not have a dead cat inside, I'd just toss the whole thing in the trash and forget it ever existed. Sometimes I had oscillating idle speed (hard to catch as the ECU would compensate to keep stable) and "less power" feeling when accelerating, never noticed black smoke... Jeep runs smoother after installing the EGR block off plate. 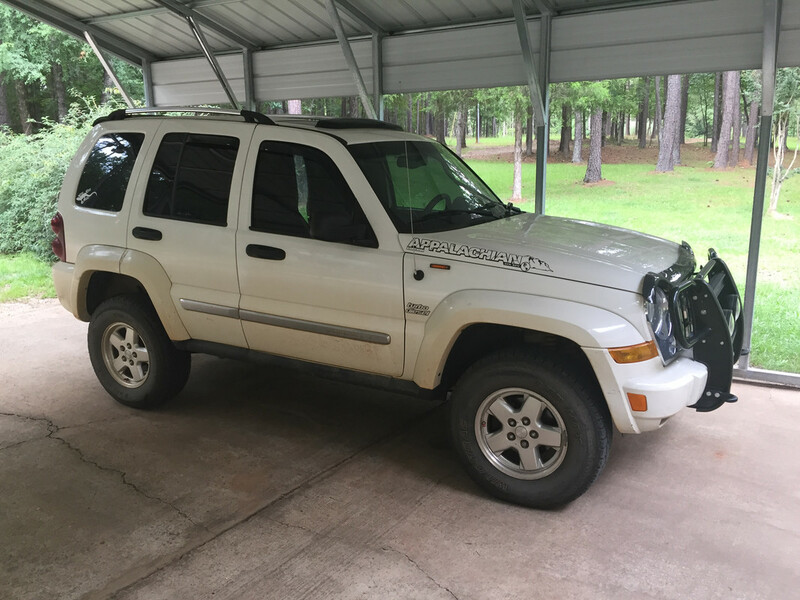 2006 Cherokee(Export KJ), CRD, 4x4 Automatic. It is not magic here. P0401 is a stuck closed egr valve, P0402 is a stuck open egr valve. You can also check the air flow at idle with an OBD monitoring tool and that will also tell the tale. No real need to remove it to see the functionality if you can monitor the live data across the CAN bus. My EGR valve is stuck open. Just found out. Got the P0492 code after installing new intake hoses. What can I do now? I need this to drive 20 miles to work and back each day as in tomorrow. You can either replace the egr valve, delete the egr valve, or install a block off plate. In the meantime, it’s still driveable. You might have some reduced power and black exhaust smoke, but you can still drive it. Thank you for the reply. Yeah, I've got the smoke goin'. But it helps a lot to know I'm not causing more problems. I've just put out $$$ for those hoses and was down to -$ for deposit on my own apt. (Perfect timing after the holidays, not.) Thank you, thank you! P.S. That was Engine Code P0402. Sorry about the typo. Glad you could decipher what I meant. 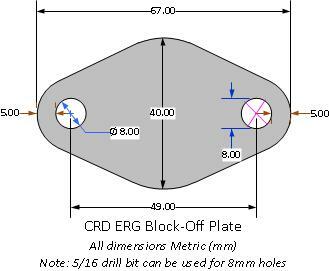 Simple short term solution: install a block-off plate! 30 minute or less job with simple hand tools! If you have a few minutes and a cold canned beverage, you have a temporary block off plate already. The domed bottom of the can is the perfect shape to fit within the EGR tube on the intake elbow. Don't cut it until after you get the marmon clamp off and can see the size - you want it to fit within the circle but not small enough to fall into the tube. Size should be about 1.25" across. Drop it into the end of the tube and reinstall back on the intake elbow.